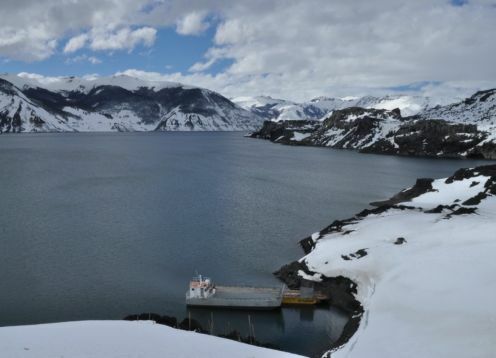 It is located in the Andean foothills, 93 km. east of Los Angeles, in the province of Bío-Bío, commune of Antuco. 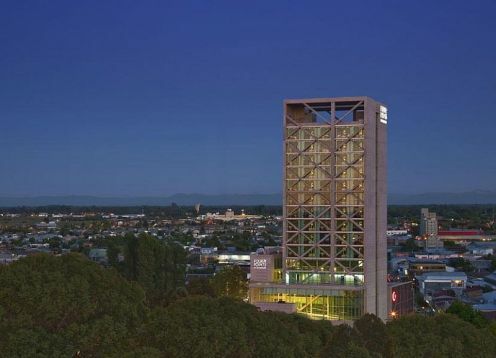 It occupies an area of ​​11,880 hectares. 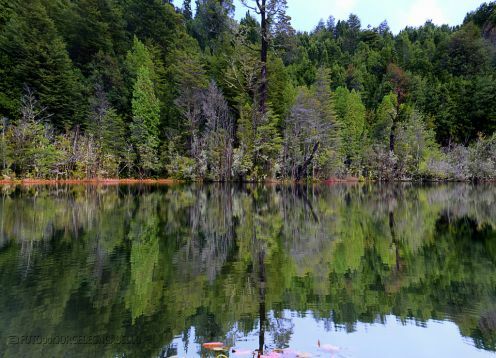 The access to the park is formed by the Los Angeles-Antuco-Laguna del Laja road, 93 km. , of which 64 are paved and the rest is gravel. All year round, it is recommended to carry chains in winter for possible snowfalls. It is located in the Chacay sector (4 km from the entrance of the Park and 12 km from the town of Abanico), along the road, duly signposted. Los Pangues Control Hut: located 100 m. from the entrance to the park, next to the road. In it the control of visitors and entrance charge is made. In addition, it provides information on the activities and sites of the park. Park guard office in ski court: is located next to the main road 10 km. 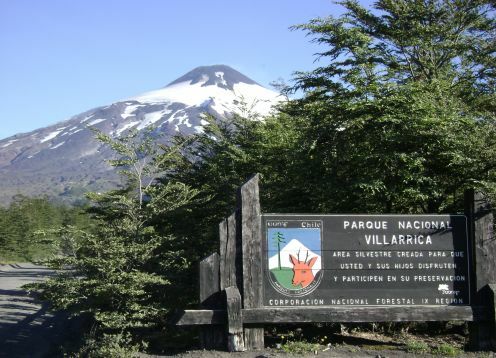 of the entrance of the Park, in front of the mentioned courts, in the foothills of the Antuco volcano. It is located in the Chacay sector, 5 km. of the access to the Park, entering 300 m. by a secondary road, duly signposted. 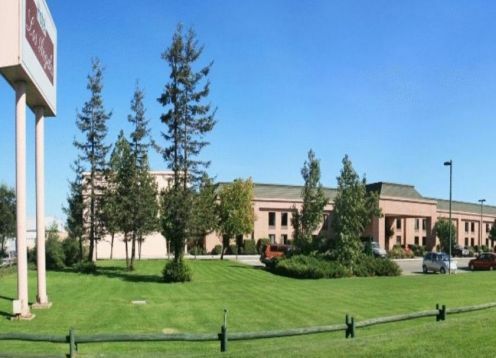 It is located in the Lagunillas Development area, 2 km away. of the entrance to the Park. Conts of 20 sites, with electric light, each with a stove, table, bench for 8 people, garbage, drinking water (one key every 3 sites), two sanitary cabins with bathrooms and showers with hot water for men and women and laundry. There are also two pools for swimming (adults - children). They are located in the Lagunillas Development area, 2 km. of the park entrance. It consists of 20 sites, each equipped with stove, table, bench for 8 people, drinking water (one key every three sites) and Hygienic services. These areas are managed by CONAF. 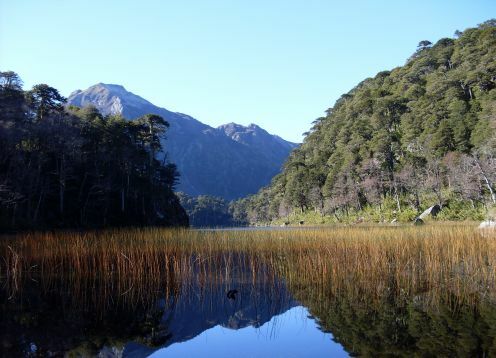 The Laguna del Laja National Park stands out for the protection of the fauna species, finding 47 species among birds, ducks, raptors and owls among others. Of special interest are the bandurria and the condor. Also, the Andean mountain gull and the Andean gull become important, classified as rare. The population of mammals is scarce, standing out the vizcacha, puma, culpeo fox and fox chilla. 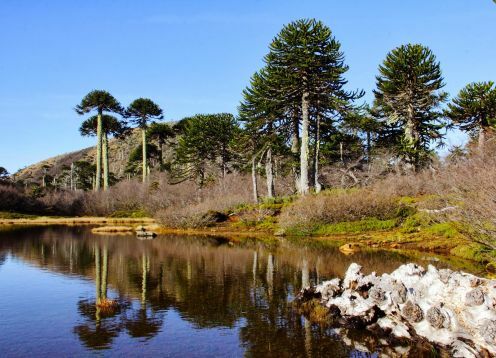 In what has flora refers, we find cypress of the cordillera and Chilean araucarias. Path Los Pangues-Meseta Los Zorros: Journey time of 4 hours. 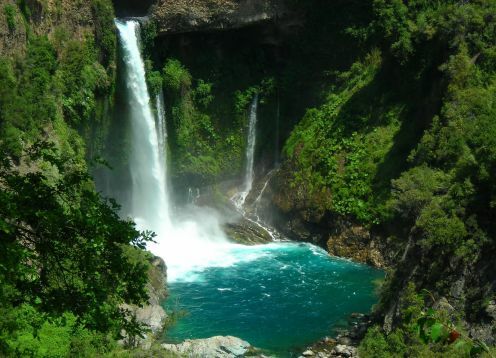 You can observe flora, fauna, Sierra Velluda and the valley of the Laja river. Endesa-Salto Las Chilcas Parking Path: Journey time: 2 hours 30 minutes. 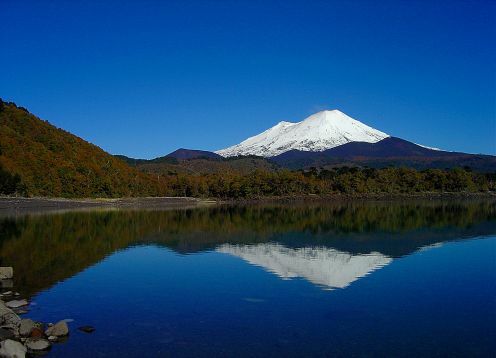 You can observe flora, fauna, volcanic phenomena and the birth of the Laja River. Endesa-Río Laja Parking Path: Journey time of 3 hours 30 minutes. Observation of flora and fauna, geological phenomena and the Laja river. Path Environmental Information Center - Los Coigues: Journey time of 2 hours 30 minutes. Observation of flora and fauna, geological phenomena and the Antuco volcano. Path Ranger Office Chacay-Plateau Los Zorros: Journey time of 4 hours. Observation flora and fauna, Sierra Velluda and the Laja river valley. 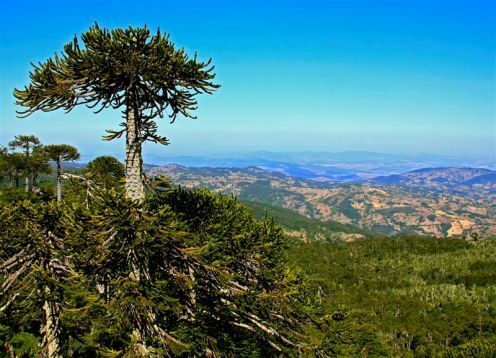 Chacay-Las Araucarias Save Office Path: Journey time of 6 hours. Observation of flora, fauna, volcanic and geological phenomena. Sierra Velluda, valley of the Laja river. Chacay-Sierra Velluda Park Ranger Office Path: 8-hour journey time. Observation of flora, fauna, geological phenomena, snowdrift and Laja river valley. Bencina: Los Angeles 93 km from the Park. First Aid: Antuco, In winter season there are ski patrols in the Park. Food Sales: in Abanico, 10 km. of the Park and in Antuco.